We are delighted to announce that the winner of the 2018 Medal for Excellence in Translation is Julie Rose for her translation of Simon Leys: Navigator Between Worlds by Philippe Paquet, translated into English from the original French. Simon Leys: Navigator Between Worlds (La Trobe University Press/Black Inc. Books, 2017) is a translation of Philippe Paquet’s biography of the late Belgium-born writer, essayist, literary critic and sinologist Pierre Ryckmans (pen-name Simon Leys). Ryckmans was best known as one of the twentieth century’s great writers on China. He became internationally famous (and controversial) for his trilogy of books in which he denounced the Cultural Revolution and the idolisation of Mao in the West. He was a Fellow of the Australian Academy of the Humanities. A renowned translator of French, Julie Rose has translated over 40 books and plays in a career, long dedicated to translation, that has included teaching French language and literature and interpreting in Paris for top-level foreign delegations. She has worked in the print media as a writer and critic and in theatre and film as a dramaturg and script editor and brings an innate understanding of drama to her work as a translator of some of France’s most highly-prized writers, both classical and contemporary: Racine, Molière, Victor Hugo (with the world’s first fully original unexpurgated English translation of Les Misérables), Alexandre Dumas père, André Schwarz-Bart, André Gorz of Letter to D: A Love Story fame, cultural critic Paul Virilio, Jacques Rancière, Chantal Thomas, Hubert Damisch, Bruno Latour and many more. 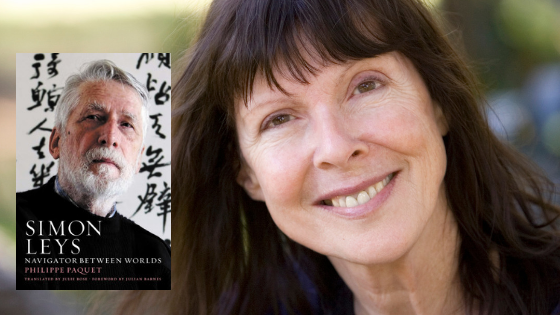 Julie Rose will be presented with the Medal for Excellence in Translation at the Fellows’ Dinner in Sydney on 16 November. Two other outstanding candidates were shortlisted for the prize – David Holm for his translation of Hanvueng: The Goose King and the Ancestral King, An Epic from Guangxi in Southern China and Geoff Wilkes for his translation of The Greater Hope by Ilse Aichinger. We congratulate both candidates on this significant achievement. The Australian Academy of the Humanities Medal for Excellence in Translation is a major national award that recognises outstanding achievement in translation and the vital role of translators and translation in Australian culture and scholarly discourse. It is awarded biennially for a book-length translation into English of a work of any genre (including scholarship), from any language and period.